When you work with Facebook and Video, a few tips and tricks can make all the difference between success and failure. The optimal length of a Facebook Video? While there is of course no uniform answer to question of what is the best length/duration, a few rules of thumb can be applied. In general, always remember that you need to catch the attention of the user immediately. Most users will discover Facebook content while browsing their feed, and this means you have precious few seconds before the scroll on down and never see your video post again. Secondly, the attention span of Facebook users can be quite short. So always remember to keep your videos to the point and avoid long openings or sequences with no apparent pay-off to the user. While Facebook continuously updates their algorithms, recent announcements indicates that Facebook will promote longer form video content more in the future. In my opinion however, you are still best off creating short clips, because Facebooks users are really not used to long form video content – yet at least. Use 00:30 long videos for short messages (click-bait/teasers/etc. ), use a 01:30 duration for singular messages – and be wary of going above 03:00 for almost any form of content. The majority of Facebook Video is viewed on mobile devices. And a large share of these views in addition is initiated while the device is in vertical mode, ie. you are holding your smartphone in your hand and not flipping it horizontally. This has a huge impact on how your video will look. As the screenshot below shows, your videos shot in nice 16:9 aspect ratio will occupy only 1/3 of a mobile screen when viewed vertically. This means you will have to be very careful about adding details, video graphics, graphs and similar details – because they will simply be so small that many users will not be able to effectively see them. So always incorporate in your video production plan the different channels you want to use. While your impressive corporate identify video that is produced to be showcased on a huge screen in front of 500 employees should probably look like a movie – just remember that the same video will not perform optimally when viewed on a mobile device. As with format, the size of the screens that will view your video with subtitles is important. If you use traditional subtitling formats, your text will probably be too long and too small. A big font size is highly recommended, and even adding visual subtitling/cartoon style visuals can sometimes dramatically improve usability. Also remember, that video in a Facebook feed will autoplay with no audio (actually more than 80% of all Facebook Video is played with no audio!) So never place your important message in the audio track, or you will miss that critically important user action of clicking your video. On-screen graphics and good post text can of course support your video – but subtitling is always recommended, at least for the initial part of your video content. 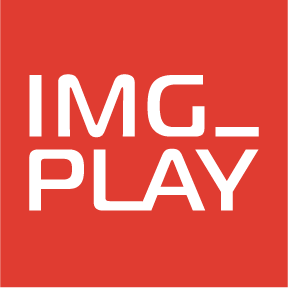 IMG_Play Group launches operations in Denmark and Sweden – builds brand channel... CPH VIDEO SESSIONS #3: How will we find TV and Video content in the future?